Who should consider home care service? What home care services are available? Home care services provide you with a range of assistance, including skilled medical care, home support services or a combination of both. Copyright, © 2019 Visions Home Health & Visions Home Care, LLC. Patient services are provided without regard to race, color, religion, age, gender, sexual orientation, disability (mental or physical), communicable disease, or place of national origin. Ask your Nurse Case Manager about a Social Work visit, if you feel that you would benefit. Wound care nurses treat patients who have both acute and chronic wounds, including burns, pressure ulcers and surgical incisions that have not healed. Our nurses not only support healing, but they also provide preventative care to ensure infection does not set in and that other complications do not arise. In addition to their hands-on role, they also play a crucial teaching role, educating patients how to care for their wounds after they return home. Physical therapy involves the provision of services to individuals and populations to develop, maintain, and restore maximum movement and functional ability throughout the lifespan. This includes providing therapeutic treatment in circumstances where movement, independence and function are threatened by aging, injury, disease, or environmental factors. Physical therapy also involves the interaction between therapists, patients, health care professionals, families, care givers, and communities, in a process where movement potential is assessed, diagnosed, and goals are set. Physical therapy management commonly includes prescription of or assistance with specific exercises, manual therapy, education, manipulation, and other interventions. In addition, physical therapists work with individuals to prevent the loss of mobility before it occurs, by developing fitness and wellness-oriented programs, for a healthier and more active lifestyle. Physical therapists and occupational therapists often work together in conjunction to provide treatment for patients. Occupational therapist interventions focus on adapting the environment, modifying the task, teaching the skill, and educating the client and family in order to increase participation in and performances of daily activities, particularly those that are meaningful to the patient. Occupational and Physical Therapies often work together in conjunction to provide treatment for patients. Speech therapists specialize in the evaluations and treatment of communication and swallowing disorders. Speech therapists also work in coordination with health care professional to achieve the maximum potential for the client. Registered dieticians counsel patients to improve their diet to lead a healthier lifestyle or achieve a specific health related goal. Incorporating the patient health history, favorite foods, eating and exercise routine the Dietician works with the patient to reach specific goals. Health professionals follow the patient to monitor and maintain a healthier life. When providing home care for medically fragile children, Visions Home Health knows what matters most. Visions provide infusion therapy, wound care, in conjunction with the monitoring of chronic and acute conditions. Visions make every effort to provide the very best for our patient's, allowing your child to a stay at home with their families. Our Home Care Aides assist people of all ages to perform the most basic daily tasks, provided in a conscientious, competent, client-centered approach. Request as little or as much help as you need. We insure the highest level of honesty and integrity will be maintained in all dealings with you and your property, improving quality of life. Confidentiality, security, kindness, recognition of your individuality and promoting your independence is very important to Visions Home Care. Our Staff is available 24 hours a day, 7 days a week, 365 days a year, to help you and your loved ones deal with the non-medical, personal care challenges you face. Care plans are customized to meet the individual needs of each client. Housekeeping includes any household cleaning and organizing tasks assigned by the client. Typical responsibilities include vacuuming, dusting, laundry, sweeping and mopping floors, changing linen, cleaning the kitchen and bathroom, meal planning and preparation. Occasional heavy cleaning, like cleaning windows and furniture upon request. Visions Home Care Companions are trained to provide the exact type of companionship your loved one needs. We are in tune with your needs. While some clients like to pass the time playing cards, board games, or reading, other simply want a friendly ear to talk to or be with them while they engage in their favorite activities. 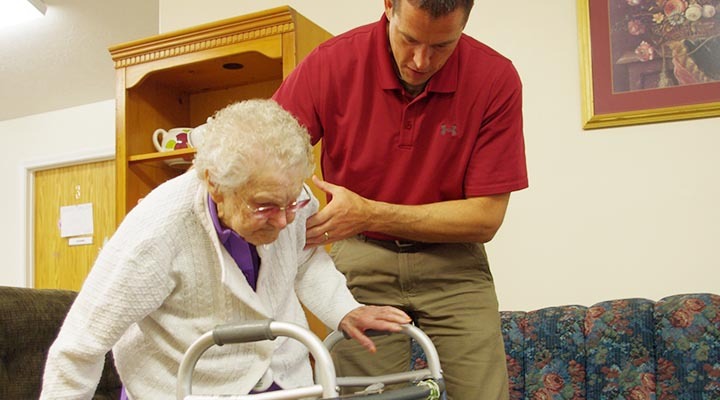 The services we provide promote, maintain, and restores health and independence. Our staff will be kind and compassionate companions that will help your loved one get the assistance they need and bring a smile to their face.